On January 26th, 6:30 to 7:30 p.m. Bethune School of the Arts, in conjunction with the Broward County School’s Magnet Office, will hold an on-line web chat for any parents interested in our Performing and Visual Arts Magnet program. When it becomes available from the Magnet office, a link will be placed on our web page here for parents to click on and get involved with the chat. The link will connect you to Broward County’s, “Elluminate” program. 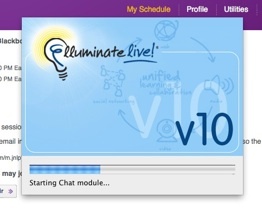 Elluminate is a unique web chat program that allows schools to present information to parents AND give parents an opportunity to ask questions at the same time. 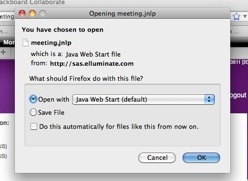 Connecting to Elluminate is easy, but there are a few steps you will need to be aware of to connect successfully. I will present the process as best I can below. 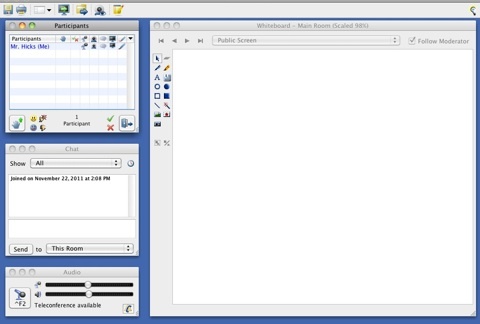 installed and running as your computer’s Browser for the chat. Firefox is the only Browser that is supported by Broward County School’s technology department. Other browsers may have connection issues. 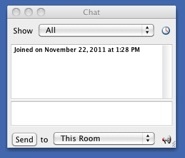 When you click the link in January to join our chat, a window like this will pop up. The steps might take a little longer than you might think, so please be patient because some of the steps take up to a minute or two to open depending on connection speed, and theymay open behind other windows where you won’t see them until they’ve fully opened. 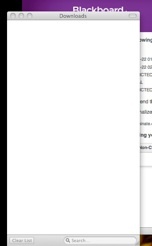 You may see a “Downloads” window like this pop up. Its part of the process. will pop up. In most cases, the Cable/DSL selection is correct. If it is, click, “OK”. If not, make the correct selection and then click, “OK”. is where most of the action will take place. We may choose to incorporate a PowerPoint slide show within the chat as well as voice and/or video in the larger window. This is a new step in communication with parents. At Bethune, we are learning how to make this new tool work with all people who have an interest in our Magnet program, and hope to make web chats available more often in the future. I hope this page has been informative, and will make the process of connecting to our live chat as easy and productive as possible. We look forward to “Chatting” with you on January 26th 6:30 to 7:30 p.m.